It memes are both hilarious and terrifying. Pennywise, the famous character from Stephen King's novel is almost always pictured, sometimes with scenes from the 2017 movie or 1990 miniseries. Pennywise beckoning you into the sewer is a favorite template. Other times, the meme superimposes the clown's face on someone else. In all cases, It memes are guaranteed to make you chuckle while also sending a chill down your spine. What Do It Memes Mean? It memes are often a play on other viral memes, featuring Pennywise. Even if you've never read the book or seen the movie, you've probably seen pictures of Pennywise and had some nightmares about him. Now you can have a nervous laugh about the scary clown. How Are It Memes Used? Most often, It memes show Pennywise inviting someone into the sewer with gifts such as student loan forgiveness and Beyonce tickets. Pennywise has also made his way into viral memes, such as the distracted boyfriend meme. Meaning: This enticing offer could make people jump into the sewer with Pennywise. Text: If you can't handle me at my Tim Curry, you don't deserve me at my Bill Skarsgard. Meaning: A take on the "if you can't handle me at my worst, you don't deserve me at my best" meme. Curry played Pennywise in the It miniseries from 1990, while Skarsgard played the creepy clown in the 2017 movie version. 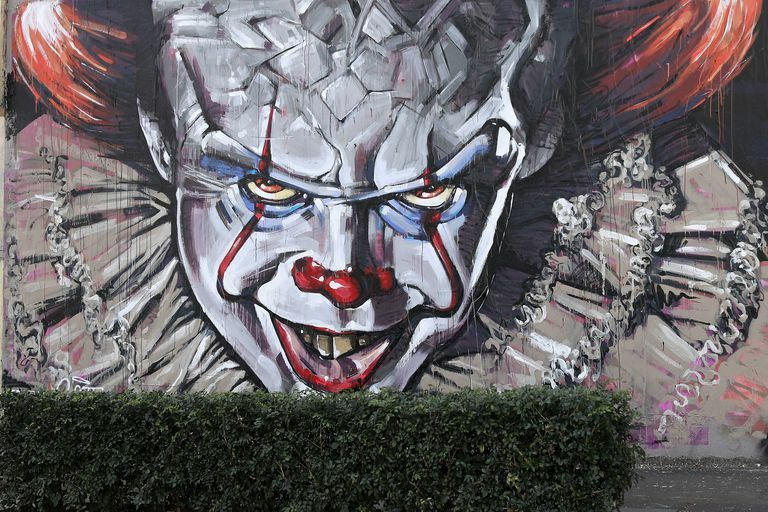 Meaning: A reimagining of the distracted boyfriend meme pits the two portrayals of Pennywise against each other. No more student loans? This offer might be worth considering. You've got to accept both portrayals of Pennywise or none at all. The distracted boyfriend meme gets the It treatment. Which Pennywise will he choose? The Teenage Mutant Ninja Turtles are not having It. Proof that Hannibal Lector has a way with words. Maybe he should try It with fava beans? Pennywise, the model, won't reveal the source of his beautiful red lips. What Would You Do For Beyonce Tickets? The idea of following Pennywise into the sewer is terrifying unless you're part of the Beyhive. What Does Pennywise Do in His Spare Time? The Internet is full of memes about vaping, and this time the joke is on Pennywise.